Contest: Win an ALL NEW KINDLE EREADER and horror swag. 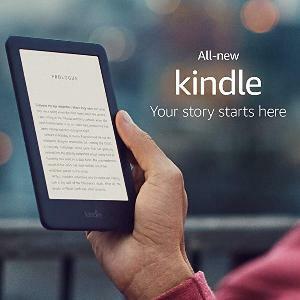 Prize: Kindle eReader, along with a load of swag for and true HORROR fan, including a luxurious illustrated Folio Society edition of Ray Bradbury's horror classic SOMETHING WICKED THIS WAY COMES. Statistics: This contest was opened by 88 and entered by 7 ContestChest.com members. 8% of those who opened the contest, entered it.